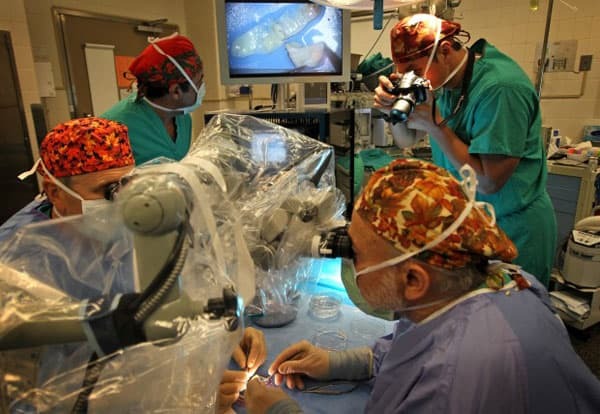 Dr. Sherman Silber “quilts” strips of previously frozen ovarian tissue together before he grafts them onto the existing ovary inside Jenny Remington-Hobbs at St. Luke’s Hospital in Chesterfield on Oct. 12, 2012. The young woman from London wanted a risky stem cell transplant to treat her multiple sclerosis. She knew the chemotherapy involved with the transplant probably would leave her infertile. So before traveling to Chicago almost two years ago for the treatment being studied by researchers at Northwestern University, she made a stop in St. Louis. Two days before her transplant, Dr. Sherman Silber at St. Luke’s Hospital removed her ovary, cut the egg-producing tissues into strips and froze them. Last month — free of any signs of her multiple sclerosis but in menopause at the age of 33 — Jenny Remington-Hobbs returned to St. Louis to have her ovarian tissue transplant. “Your ‘ovary’ will be viable and working right away,” Silber told Remington-Hobbs before her surgery. She should have her first period in three to four months. “Then you should be relieved of your menopause,” he said. This is the third patient at St. Luke’s since 2009 to have her ovarian tissue transplanted, said Silber, who is pioneering this promising option for women facing fertility-threatening medical treatments. He is the only doctor in the U.S. providing the transplants and leads the world in the procedure. Silber did the first-ever ovarian tissue transplant from one twin to another in 2004, which did not require freezing or immune-suppressing drugs to prevent the body from rejecting the tissue. He has since done 10 other twin-to-twin transplants, and many have gone on to become mothers. Women facing cancer treatments also have been freezing and storing their own ovarian tissue with Silber, with the idea that the same should work for them. Now that two of those women have not only had their transplant but also had children, experts are taking notice. Worldwide, about 20 babies have been born to women who had their ovarian tissue frozen and transplanted or to those whose twin donated tissue, according to findings presented this year at the European Society for Human Reproduction and Embryology conference. Findings were published this year about a case in France where a pre-pubescent girl had her ovarian tissue frozen before her sickle-cell anemia treatment. When her ovarian tissue was later transplanted, she went through puberty naturally as a teenager. Determined to cure her multiple sclerosis, Dr. Jenny Remington-Hobbs, a neurologist from London, came to Chicago over a year ago to receive a stem cell transplant. Knowing the stem cell therapy would leave her infertile, she first flew to St. Louis to have an ovary frozen at St. Luke’s Infertility Center. Now cured of MS, she returned to St. Louis to have her ovary transplanted. This photo was taken at St. Luke’s on Oct. 11, 2012, the day before her surgery. Jenny Remington-Hobbs, 32, greets Dr. Sherman Silber with a hug during a meeting at St. Luke’s Hospital in Chesterfield on Oct. 11, 2012. Remington-Hobbs had an ovary removed and frozen nearly two years ago before undergoing a stem cell transplant to treat multiple sclerosis that would leave her infertile. Now cured of MS, she recently returned to St. Luke’s to have tissue from that ovary grafted onto her remaining ovary. Remington-Hobbs had no immediate plans to become pregnant but was suffering from menopause symptoms that should now be alleviated. About 45 women have their ovarian tissue stored with Silber. Most are cancer patients awaiting remission, while others were facing premature menopause or menopause before finding a mate. The latest advances make it more important than ever for oncologists to discuss fertility preservation with their patients. In 2006, the American Society of Clinical Oncology recommended that oncologists discuss with all young patients the possibility of treatment-related infertility as well as preservation options, and provide referrals to reproductive specialists. Dr. Sherman Silber “quilts” strips of previously frozen ovarian tissue together before he grafts them onto the existing ovary inside patient Jenny Remington-Hobbs at St. Luke’s Hospital in Chesterfield on Oct. 12, 2012. Dr. Sonny John Stetson (right) documents the procedure. A study released this month, however, adds to previous reports that patients are not always getting counseled about their options. Researchers at the University of North Carolina at Chapel Hill and the University of California San Francisco surveyed 2,300 young women diagnosed with gynecologic cancer between 1993 and 2007 and found that only 50 percent were told about their risks, and only 3 percent underwent fertility preservation. Cost and feeling overwhelmed were cited as main reasons for not proceeding with preservation. Also, women who already had children, lacked a college degree or did not have private insurance were far less likely to receive counseling. 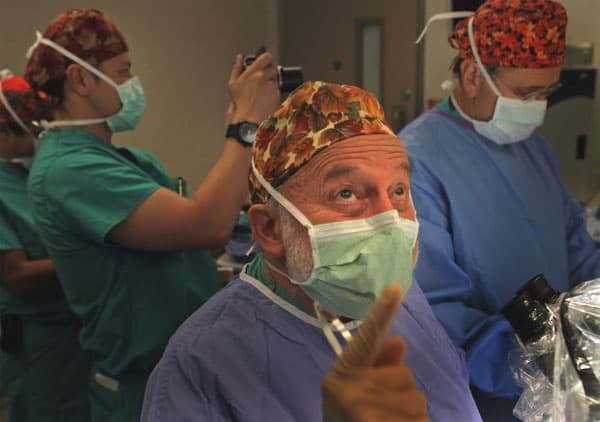 Dr. Sherman Silber “quilts” strips of ovary together, preparing to surgically transplant them onto the exisiting ovary of patient Jenny Remington-Hobbs at St. Luke’s Hospital in Chesterfield on Oct. 12, 2012. Other surveys have found that fewer than half of oncologists followed the recommendations and rarely referred patients to specialists. Doctors were focused on the patient’s survival, didn’t want to burden the patient with the costs or didn’t want to delay cancer treatment. “It is important that we increase awareness among oncologists concerning what reproductive specialists can do for their patients. And we need to expand our own awareness of the financial and other pressures cancer patients face and how we can help address them,” said Dr. Linda Giudice, president-elect of the American Society for Reproductive Medicine. Dr. Sherman Silber of St. Luke’s Hospital in Chesterfield meets with Jenny Remington-Hobbs, who was preparing for a transplant of her ovarian tissue, on Oct. 11, 2012. The tissue had been removed and frozen until she wanted it retransplanted. Silber is providing ovarian tissue transplants for free to women facing fertility-threatening medical procedures while advocating for insurance coverage. He’s also teaching other surgeons how to do the transplant. On hand to observe Remington-Hobbs’ surgery were doctors from Fertility Centers of Illinois and a leading fertility clinic in Mexico. Jenny Remington-Hobbs and her husband pose for a photo with surgeon Dr. Sherman Silber during a pre-op meeting at St. Luke’s Hospital in Chesterfield on Oct. 11, 2012. 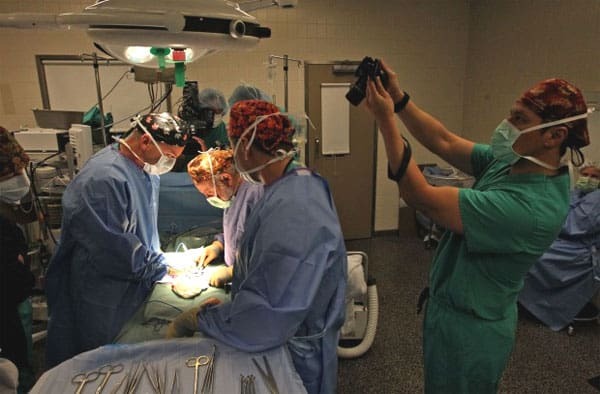 The pre-op visit was being videotaped by the hospital’s public relations department. Informing patients about fertility preservation is not only increasingly important because reproductive medicine is seeing new and improved techniques, but also because advances in cancer detection and treatments are creating more young cancer survivors, Woodruff said. “That intersection is why oncofertility was really born,” said Woodruff, who heads the fertility preservation division at Northwestern University Feinberg School of Medicine. She coined the term to describe the new discipline blending oncology and reproductive medicine. 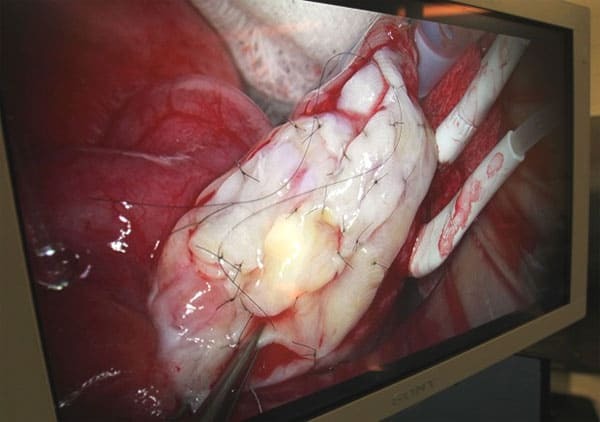 A detail of the the “quilted” strip of frozen ovarian tissue grafted onto the existing ovary of patient Jenny Remington-Hobbs during an operation at St. Luke’s Hospital in Chesterfield on Oct. 12, 2012. Woodruff’s consortium of experts across the country has developed detailed websites with information for patients and doctors as well as a hotline and iPhone app. Insurance coverage varies by state; but insurance companies are more willing to work with doctors, and drug companies have donated medications, Woodruff said. Advocacy groups like Fertile Action and Fertile Hope, an initiative of the Livestrong Foundation, are also working to increase awareness and access. A detail of the the “quilted” strip of frozen ovarian tissue before it was grafted on the remaining ovary of patient Jenny Remington-Hobbs during an operation at St. Luke’s Hospital in Chesterfield on Oct. 12, 2012. Woodruff stressed that all the patient’s doctors should decide together the best option and timing for fertility preservation because so many factors must be considered, including age, the type of cancer and treatment, economic issues and likelihood of retaining some ovarian function. Silber’s first patient to have her own frozen ovarian tissue transplant was Amy Tucker, 35, of Columbia, Ill., in January 2009. Just over a year later, she gave birth to a son, Grant. Tucker had an ovary removed and frozen in 1998 before receiving a stem cell treatment for a relapse of her Hodgkin lymphoma. At an appointment with her cancer doctor, a nurse mentioned a conference a day earlier where Silber spoke about successful ovarian transplants in animals. Amy Tucker and her husband, Jason Tucker, play with their 2-year-old son, Grant, at their home in Columbia, Ill., on Oct. 17, 2012. Amy had an ovary removed and frozen in 1998 before a cancer treatment. In 2009, the ovarian tissue was returned and she became pregnant with Grant. 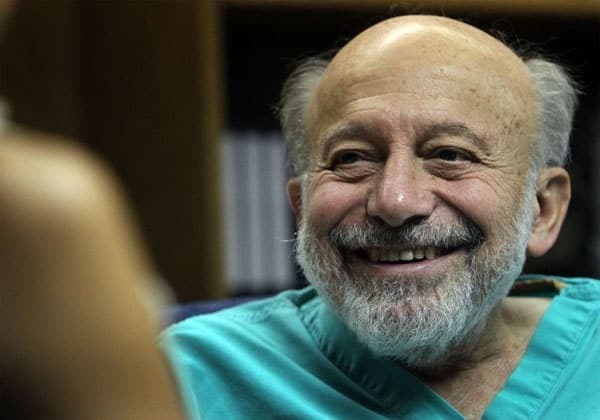 Silber’s procedure involves removing one ovary through a small incision and then slicing the outer edges containing follicles and eggs into strips — the most complicated part, he said. The thin slices are far less susceptible to damage when vitrified (a flash-freezing technique) and thawed. 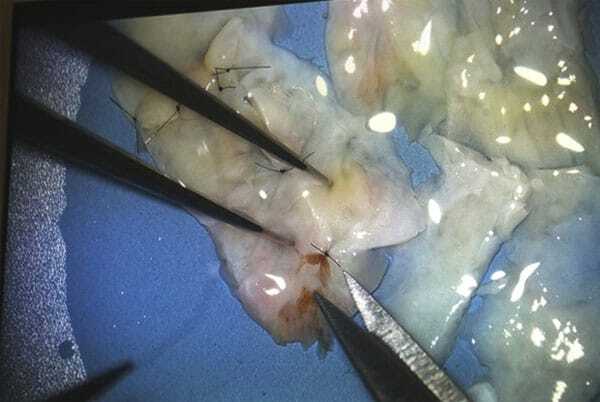 He transplants the tissue by stitching some of the strips together and grafting the piece onto the remaining ovary. 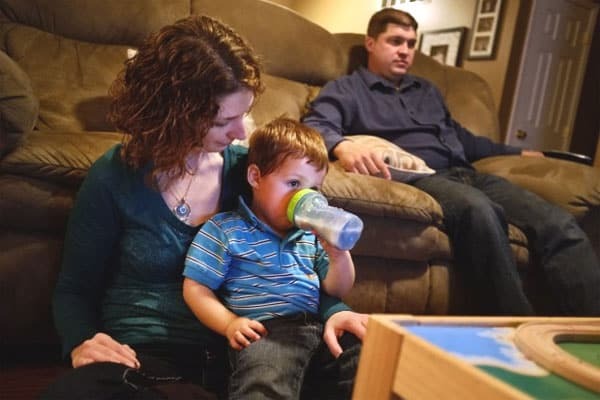 Amy Tucker and her husband, Jason Tucker, relax with their 2 year-old son, Grant, at their home in Columbia, Ill., on Oct. 17, 2012. Amy had an ovary removed and frozen in 1998 before a cancer treatment. In 2009, the ovarian tissue was returned and she became pregnant with Grant. Remington-Hobbs’s ovary was sliced into 20 strips. Silber used only four for her transplant. He told her the tissue should last seven years, at which time she’ll be 40 and could have another transplant. “We’ll have plenty more in the freezer,” he said. Remington-Hobbs, a psychiatrist, said she has no plans to get pregnant soon with her husband, Max, 32. She wants relief of her menopause symptoms while pursuing her new career, providing a wellness approach combining emotional, nutritional and medical advice. 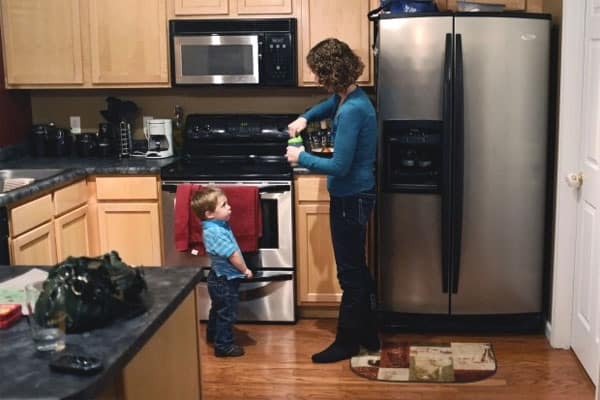 Amy Tucker prepares a bottle of milk for her 2 year-old son, Grant, at their home in Columbia, Ill., on Oct. 17, 2012. Amy had an ovary removed and frozen in 1998 before a cancer treatment. In 2009, the ovarian tissue was returned and she became pregnant with Grant. Her friends are envious of her, she joked. “We can go on and do what is inspiring in our lives rather than worrying about having kids,” she said. While she said it’s important for cancer doctors to know about and share fertility preservation options with their patients, she said patients also need to be their own advocates. Dr. Silber was our Fertility Doctor and thanks to his God given knowledge, we have a beautiful daughter who is now 14. I can tell you if it wasn’t for his staff, giving us that little glimmer of hope when I made that initial phone call, my daughter would not be here. We sought out 2 doctors before seeing Dr. Silber, and neither gave us the HOPE we needed to begin the journey of achieving a pregnancy. Dr. Silber is by far the only doctor I would have trusted with my fertility health. …all of my treatments were paid out of our pocket, as our Insurance through Chrysler did not cover Infertility treatments. However, some of the Meds WERE covered. I know Dr. Silber has been working hard for his patients for many years to get coverage for this procedure mandated, even making appearances in front of legislators trying to get Insurance companies to help pay the cost. After all, infertility is a medical condition, just like cancer or other diseases. Presently this treatment is usually NOT covered by insurance companies, which is why we provide it at no charge to cancer and auto-immune patients until it IS covered, or until for reasons beyond my control, the wonderful hospital at which I work might finally give up on their altruistic approach. Technically, if there were a class action law suit, the insurance companies would be required to pay I am sure, because they are required if they cover cancer, to also cover all complications of the cancer treatment. But because they are bigger and more powerful than any little medical care provider like me, they just give absurd reasons for not paying for anything they can get away with not paying for. So the solution to get this covered is to angrily call your Congressman and your Senator, not to mention the the White House, the U.S. office of personnel management (OPM), the Veterans Affairs Office, and Alice Crisci of Fertile Hope, as well as the Livestrong Foundation, and your state insurance office, and register your complaint. You might also find a lawyer who would be interested in the massive job of filing a class action lawsuit. Meanwhile until fertility preservation is covered by insurance, we will continue as long as possible to do this without fees, and whenever it is covered, our fees for this procedure will remain modest.